Her silver was trotting through the grass, to a darkling stream beneath a sea of stars. A corpse stood at the prow of a ship, eyes bright in his dead face, grey lips smiling sadly. A blue flower grew from a chink in a wall of ice, and filled the air with sweetness. . . . mother of dragons, bride of fire . . . So why would I name this and put in a blue winter rose?? If you only watch the Game of Thrones TV show you probably have no idea about this symbol and meaning in relation to Jon Snow and his mother Lyanna (hasnt happened in the books but has been revealed on the show). The books only foreshadow his parentage as well as his future with Danaerys. This quote, from A Clash of Kings (ASOIF Book 2), is part of the many visions that Dany is given while inside the House of The Undying (All prophesies were removed from the HBO TV show sadly). 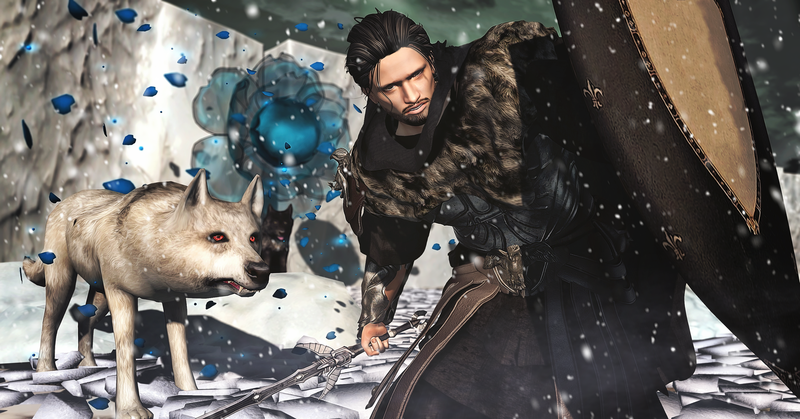 The blue rose/flower growing from an ice wall represents “Jon Snow” as Lyanna’s Stark son (blue winter roses were one of her favorite flowers and Jon was part of the Night’s Watch in The Wall). “Filled the air with sweetness” might mean that Dany finds her true love at last. This happened on the show but not in the books yet, if it even does happen at all in the books.